You know what; YouTube is the third largest search engine on the internet where more than 70 hours worth of videos is uploaded each day. Moreover, YouTube has 1.5 billion monthly users watching lots of video content and has 1.2 Billion active users each month. One survey shows that YouTube surpasses 1 trillion views in 2011. That’s crazy, right? No doubt, currently the YouTube is the best platform for vlogging (video blogging), video content sharing, as well as for video promotion & marketing. The video contents with YouTube is the most preferred method in the content marketing now. The other platforms like Facebook & Instagram have lately jumped into the video marketing market, but they seem far away from what YouTube has put. As you know the YouTube is a free platform provided by Google, and so everybody loves it for daily learning needs. If you see; growing YouTube audience usually depends more on your promotional techniques; that is why; this is a big opportunity for content marketers and bloggers to jump into for building themselves as a brand and to drive targeted traffic and more sale. It is the best option to use YouTube for better video marketing to promote your blog, website or business. But wait; "Rome is not built in a day"; likewise, creating & growing a YouTube channel is not the thing that will get settle down over the night. Growing your YouTube audience doesn’t just mean start recording some videos, quick editing, uploading, social sharing and setting up the YouTube channel; it is not just that enough to get the active subscribers fast that would love to follow you and your video contents. All you need to do is making quality, helpful and engaging video contents regularly on your YT channel. You must know; no one able to notice your channel and its content till you make your audience aware about. Some vloggers promote their videos on Facebook, twitter etc while others try to communicate via comments. These methods may work for you, but you need to keep testing and experimenting with new ways that work best for your kind of YouTube channel. For making your YouTube videos viral online you must consider Optimising your YouTube channel on high priority for establishing the grounds for your niche. You must work hard to get more YouTube subscribers that will make you earn money on YouTube. Growing Youtube channel required a lot of patience and time consistency. But at the end of the day, with all the efforts you took and patience, you would get its benefits. 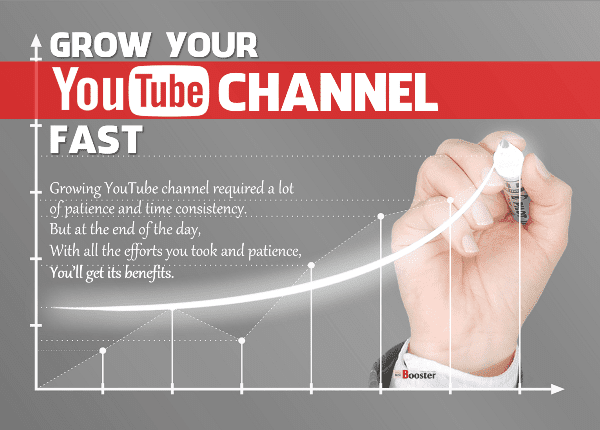 Today, I’m going to talk about the 5 best tips you can practice to grow your YouTube channel. In the previous post, I was talking about learning to make high quality, professional YouTube videos that go viral and not only target YouTube audience but also drive organic traffic and so a lot of subscribers to your YouTube channel. I have published that page; Top 10 Ways How To Make PROFESSIONAL YouTube Videos // YouTube Techniques to help you create viral videos, you can check it anytime. As a YouTuber, one must know some smart tricks that can help them increase views on YouTube. 1. Don't convince those who never watch YouTubers. How to drive traffic to youtube channel - To get started on YouTube, you should be clear about the type of YouTube audience you are going to target. Try to cater the audience that is more supportive and likes to watch videos on YouTube on a regular basis. Such an audience is going to be interested in your content. But to waste your time on those who do not follow this culture at all is a complete no-no. You should not focus on people that are not interested to watch a YouTube video. Rather the objective is to turn your regular viewers into your loyal customers and grow your YouTube Channel further. 2. Write smart descriptions for better rankings. SEO and video - Limited lines of description are very important, make sure what you write should include all the relevant links such as blog post links and social media profiles or any other video link. Although the first line should not be promotional, it should explain what the video is about as it becomes a deciding factor while searching results through keywords. How To Become A YouTuber Vlogger? 3. Use most popular Google keywords. YouTube search engine optimization - To give your video a title is the toughest task of all, so many times you make up your mind yet it is the suitable one. The only reason is the title isn’t SEO-friendly at all, you have to work on it till you don’t find the suitable one. In short, you have to write a title that people might search for, use the most popular words. Along with that, use tags to address the video to the right kind of audience. Adding so many words at once won’t do any good till they don’t reach out to the viewers who are looking for similar content. For example, if your content is about tourist places to visit, you must add tags and words like most beautiful places to visit, best places to visit and so on. Targeted keywords in the title, description, and tags are very powerful factors for YouTube SEO. 4. Make a catchy Youtube thumbnail to increase video views. What do YouTubers use to edit thumbnails - Choosing one from those given options by YouTube is an old trend to follow as they are mostly blurred and not so flattering. Instead of using those traditional thumbnails, it's better to go with thumbnail creator app like iPhoto, Photoshop, VSCOcam and work with different fonts and colors as per your desire. These apps enable you to explore a different set of themes according to various categories and topics your content is about. You can select thumbnail themes categorically, and even opt to change them whenever you feel like. Doing this gives your view a much sorted-outlook and seems more professional and appealing that can easily increase views on YouTube. 5. The power of internal collaboration. YouTube collab ideas - It is the most trending video content strategy to build high-trust relationships. Uniting things will always take you far, at least when you are talking about YouTube content. The best team collaboration and communication could drive more views & new subscribers to your videos. As the objective is to gain maximum viewers and increase views organically free, the best video content strategy to follow would be to collaborate with some other YouTuber. This can be worked out by planning and executing things systematically. For instance, both can shoot the video clip and share via WeTransfer or other sharing app and make it into a crisp video with fine editing and adding annotations. You must start building connections to find a broader audience. The final product of collaborative efforts is considered to be more effective as it is capable to attract a lot more viewers and subscribers in comparison to each one could get separately.